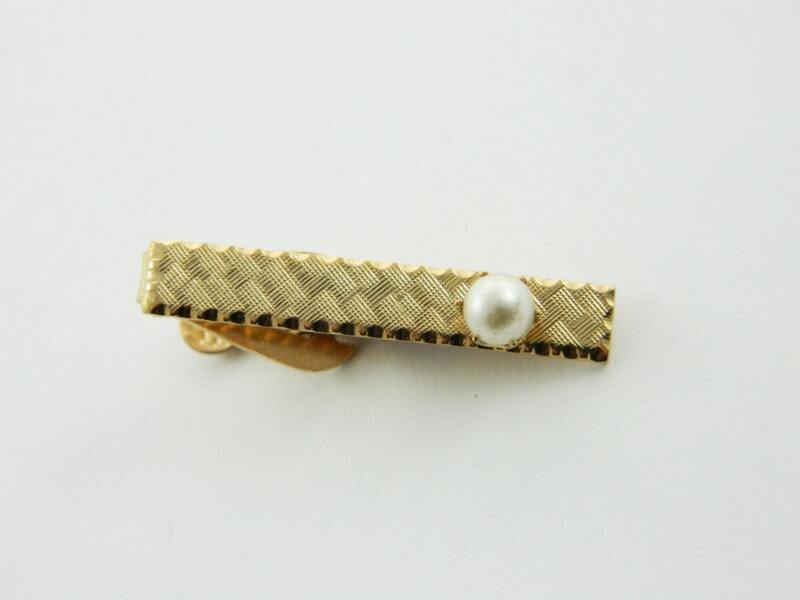 Gold Tiny Faux Pearl Tie Clip. Tiny Gold Pearl Tie Clip. Material: Gold Plated Brass and Faux Pearl.